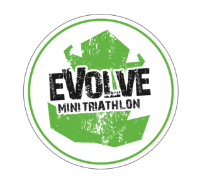 The perfect novice triathlon or training race! 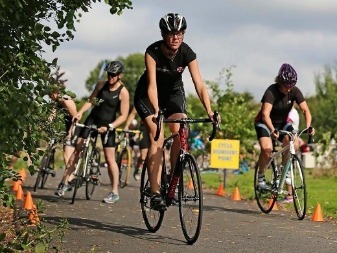 This blast of a triathlon is full of fun!! 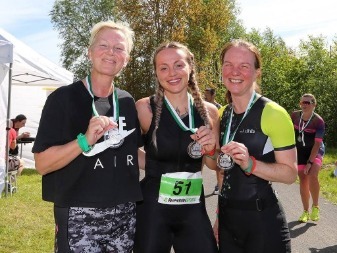 Held over a short distances so perfect for first timers taking their first foray in to triathlon or equally fun for seasoned triathletes who want a short event to practice their race skills without impacting on their training schedule! Oh and it's a 12pm start so we can all get a lay in!! The event starts with a 400m swim in the gorgeous waters of the Blue Lagoon which takes in a swim from the beach and after a short swim out you turn left towards the dive area and swim to the far end of lagoon exiting at the steps near the gate. After a quick transition it's out on to the quiet country roads around the lagoon for a 10km blast of a bike which is ideal for novices or serious racers alike! After another speedy transition it's time to hit the trails around the lagoon for a 2.5km run! With identical events at the start and end of the season you can challenge yourself to beat your time after a summer of training!! The event is chip timed! Great for novices and seasoned athletes alike! Rolling bike course with easy to sport signage! Fun & Friendly club run event!